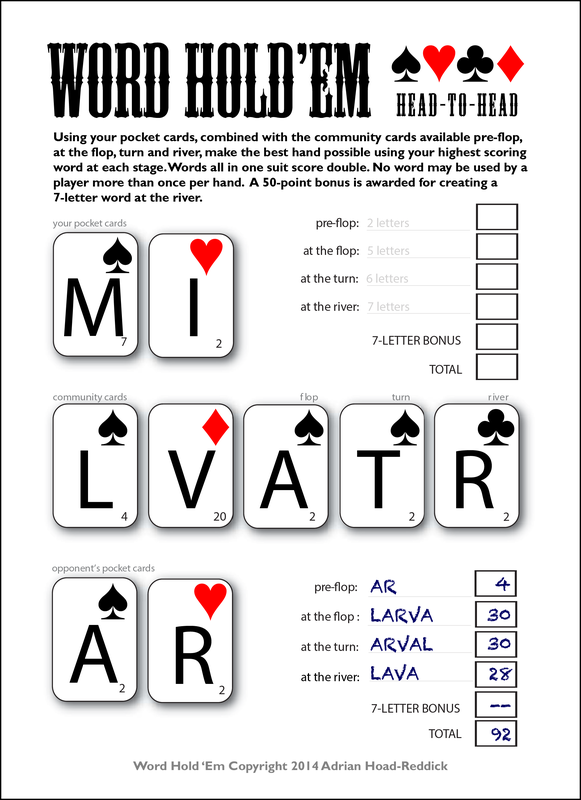 Jenn Dimples Lee has a decent score, due in part to her knowledge of the word ‘ARVAL’ meaning a funeral feast. 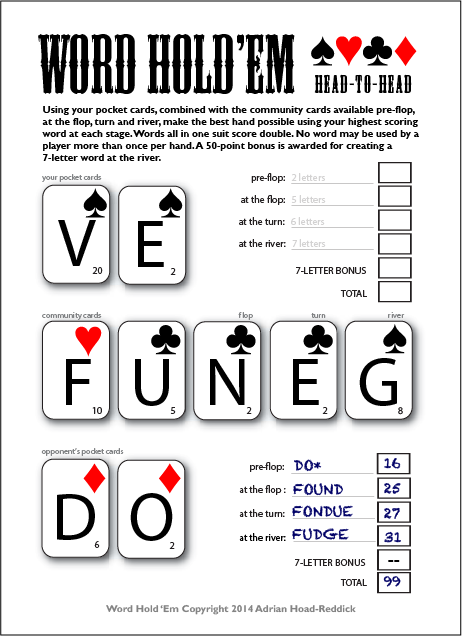 You can claim the Word Hold’Em pot with some clever word-finding. 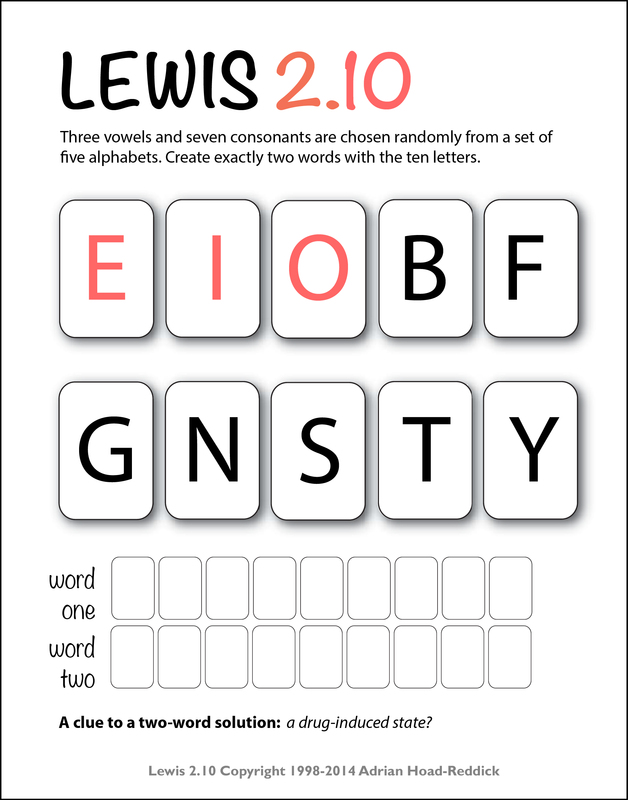 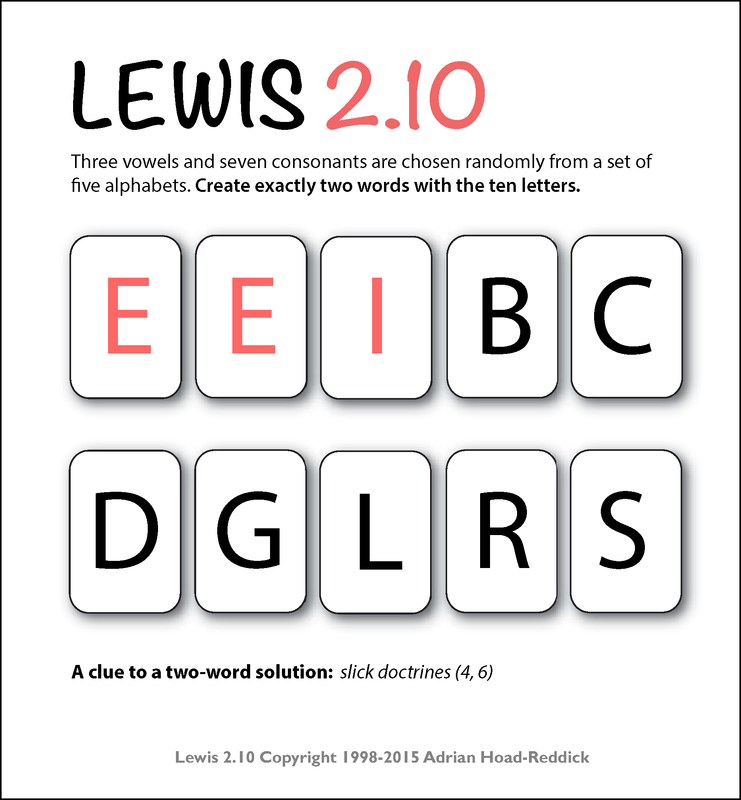 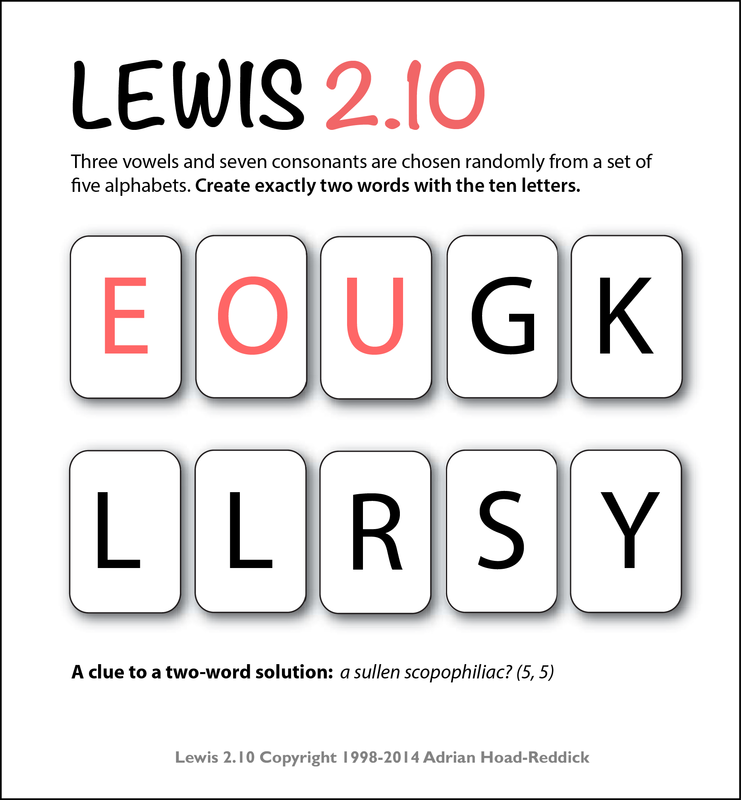 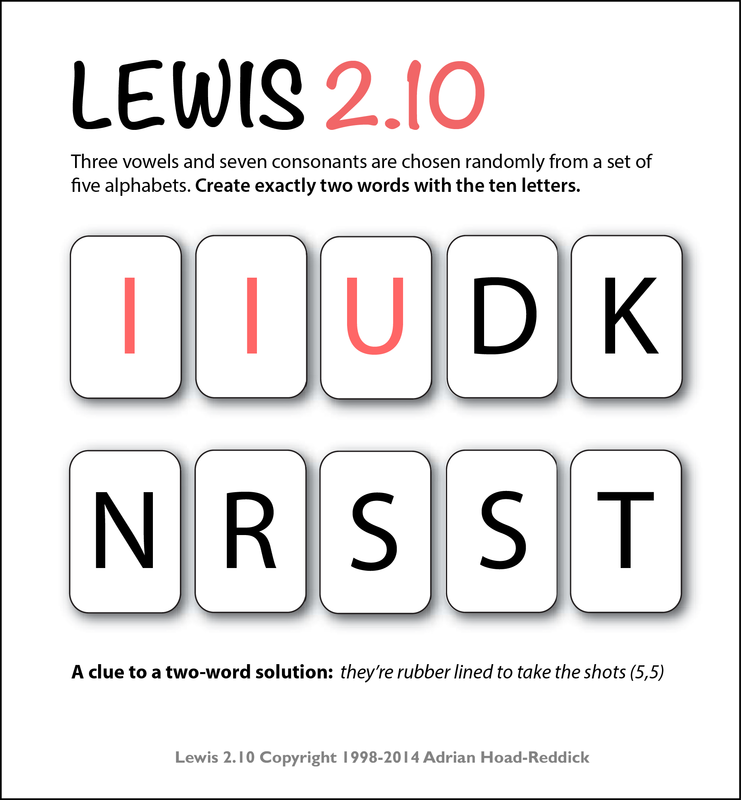 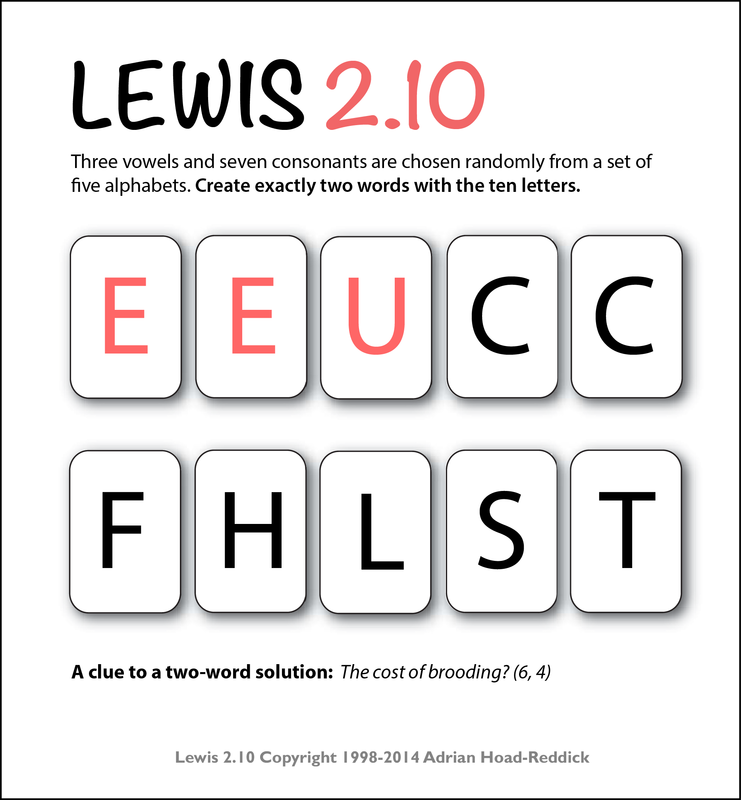 Create exactly two words from the ten letters displayed. 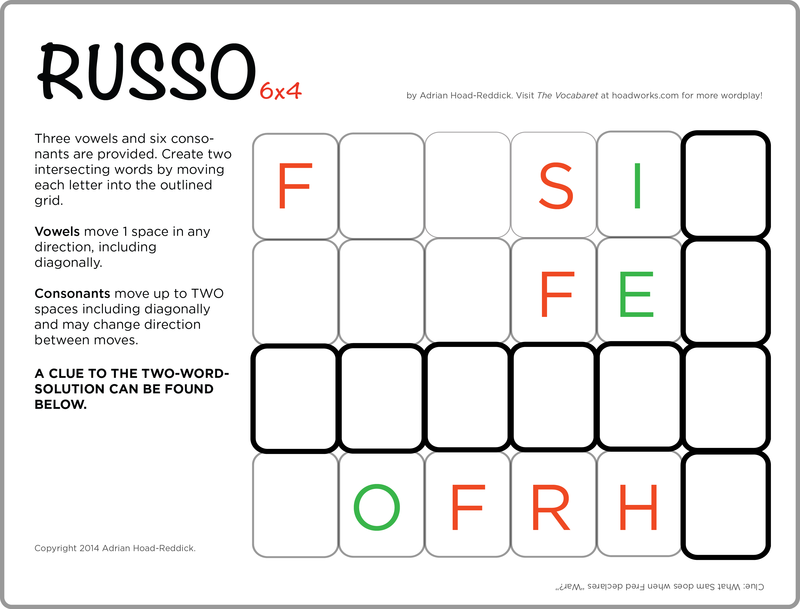 A clue to one two-word solution is offered. 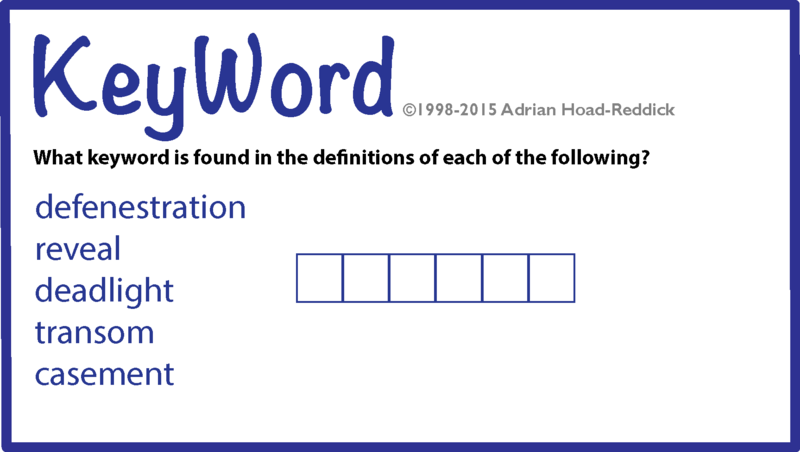 Answer from Last Day: SULKY OGLER.